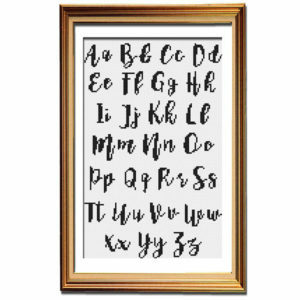 This custom cross stitch pattern is a PDF pattern and made to order, so you can create your own custom alphabet pattern and express your personality! Please see below for more details, and please read the pattern details before ordering this custom chart. 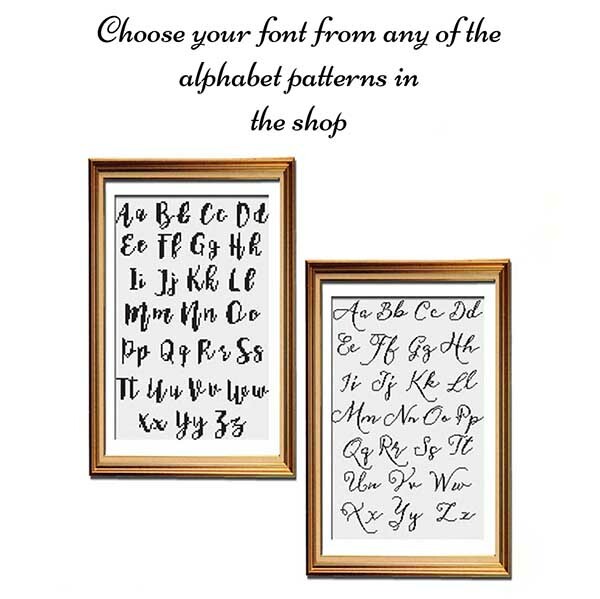 Which alphabet you are wanting to use from the shop (you can see all the alphabets available here). Whether or not you are customizing an existing Peacock & Fig pattern. Please note that the Peacock & Fig pattern must be purchased in addition to this customization package. Please purchase the pattern you’d like to adapt either before purchasing this customization package or at the same time. What you want the text to say. Please include the punctuation, capitalization, etc you desire. Whether you want the text centered on the pattern or not. Your name and email address so I can email you the first draft. **Please note: I cannot create patterns based on copyrighted material such as song lyrics. If you have any questions, please email me before ordering this pattern. 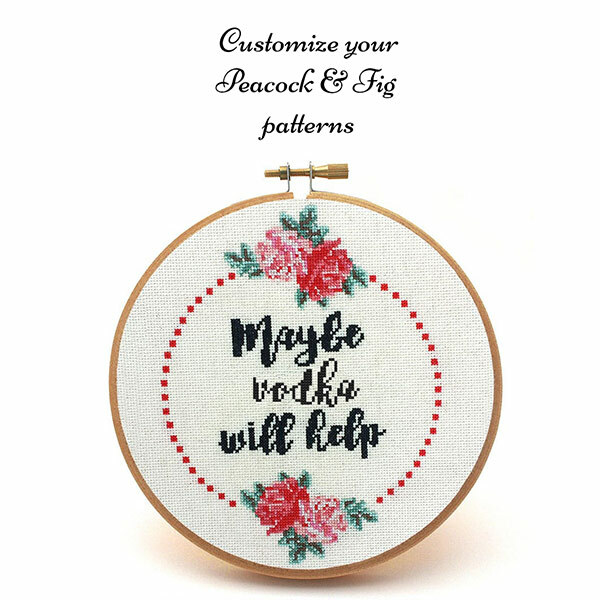 Once you submit this information via the link, I will create one draft pattern of your request, send it to you, and you can give me feedback before the final pattern is created and emailed to you. The first draft will be completed and sent for your approval within 24 hours of the information form being submitted (Monday-Friday PST). One revision is included in the customization fee. You can make as many changes as you like in this revision, but any additional revisions after the changes are made are subject to an extra fee. The custom chart will include a colour preview image, a full chart (in your choice of colour or black & white), and a colour key. 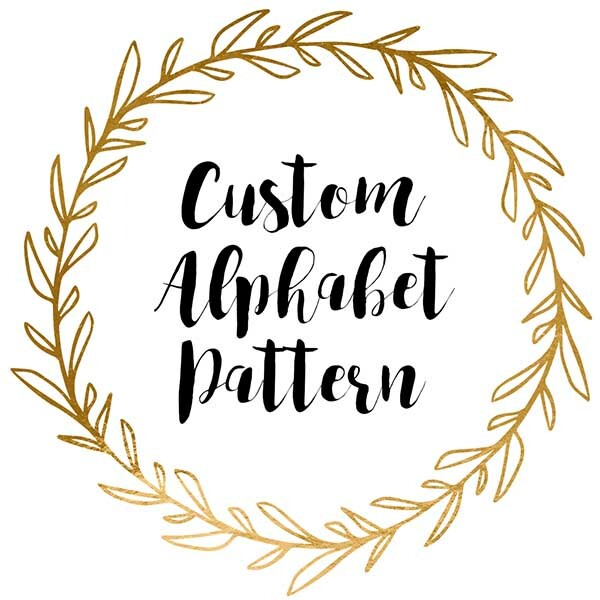 **Please note: changing the alphabet font sizes from the standard patterns is not included in the customization fee, please contact Dana for more information. For more details of the individual alphabets, please look at the listings above. As this is a custom order, once the customization information is submitted via the linked form, a refund is not available due to the nature of digital patterns. Please note: This is a digital PDF pattern only, not a printed pattern that will be shipped in the mail. It is not a kit or a finished product. You will be sent a download link when your payment has been processed. Any up-to-date PDF reader (for example Preview on a Mac, GoodReader on iOS, or Adobe Reader on a Mac or PC) will be able to read the patterns, or they can be printed for ease of use. Dana was such a pleasure to work with. Super quick at responding and very helpful. She had my custom pattern within minutes. I had a little prayer that I wanted to stitch but wasn’t skilled enough to draft the pattern and text. What a superb experience I had with this vendor! VERY fast comms, always clarified my needs, and the turnaround was extremely fast. VERY pleased!! Just what I wanted! Get notified of replies to your commentGet notified of new comments on this post. If discussion generates more than a few emails daily your subscription will be paused automatically. 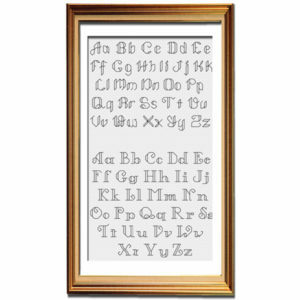 This beautifully elegant cross stitch alphabet will turn any quote into a gorgeous patttern. The Vintage Sass Alphabet 2 is featured in the Get Ducked pattern, No More Ducks, So Much Nope, and That’s What She Said patterns in the Vintage Sass Collection. This ornate cross stitch alphabet is featured in patterns such as I’m Fabulous, Queen Bee, The Struggle is Real, Be the Flamingo, and the rest of the Spirited Animals Collection (excluding Too Glam to Give a Damn). 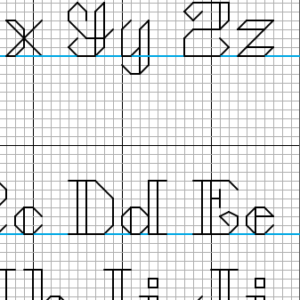 The alphabet comes in two sizes to be adaptable and give you a lot of flexibility when adapting or creating your patterns. 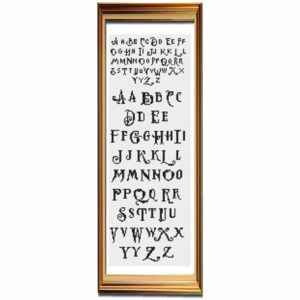 This very popular cross stitch alphabet pattern adds a bit of elegance and whimsy to any cross stitch project. 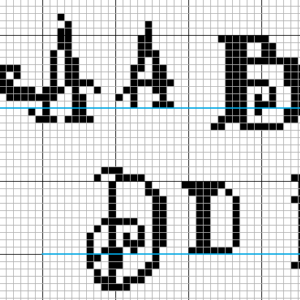 The Vintage Sass 1 cross stitch alphabet is featured in the Maybe Wine Will Help pattern, Stitch & Drink Wine, and several others in the Vintage Sass Collection. 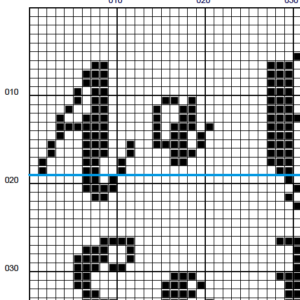 Need to create your own cross stitch text in a pattern? 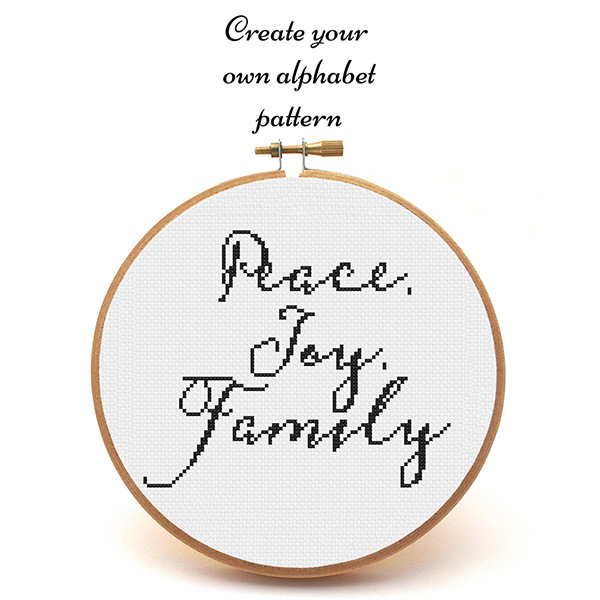 These beautiful backstitch alphabets will enhance any design. The top alphabet is featured in the Too Glam to Give a Damn pattern in the Spirited Animals Collection. 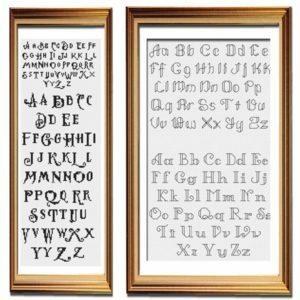 This cross stitch pattern set includes both Vintage Sass alphabet patterns (Vintage Sass 1 and Vintage Sass 2). 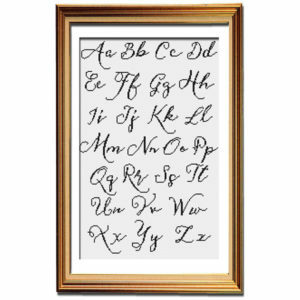 Express your personality and create customized cross stitch patterns with these elegant calligraphic fonts. This set includes both Spirited Animals alphabet patterns (Alphabet 3 and Backstitch Alphabets). 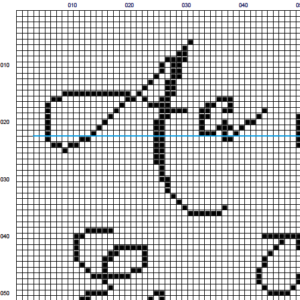 Express your personality and create customized cross stitch patterns with the elegant backstitch fonts and ornate full stitch fonts. Want exclusive free stitching patterns and much more? Peacock & Fig © 2019 Dana Batho. All rights reserved. No portion of this blog or website, including any text, photographs, and artwork, may be reproduced or copied without written permission. Get access to the members-only free stitching patterns, notifications of new giveaways and tutorials, exclusive promotions, and more! Your information will *never* be sold to a third party.